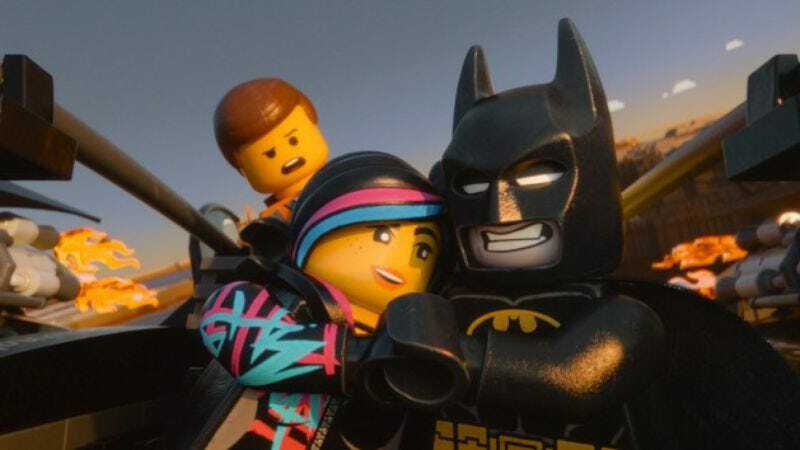 The Lego Movie seemed like it had everything: Lego Batman, Lego Will Ferrell, a different kind of Will Ferrell, and a whole lot of goofy Lego heart. However, according to Chris McKay, the film’s animation co-director and recently announced director of its sequel, The Lego Movie didn’t have enough female characters. Speaking with The Daily Mail, McKay said that during production of the first film, he often questioned whether he and the other men on staff were “making [the] movie from [their] own myopic point of view.” He even suggests that The Lego Movie doesn’t pass the Bechdel Test—referring to the idea that a work of fiction should feature at least two named female characters talking to each other about something other than a man. For what it’s worth, BechdelTest.com actually says The Lego Movie passed, although there’s a heated debate in the comments that it shouldn’t have, due to the fact that one of its primary female characters—Alison Brie’s Unikitty—isn’t actually a human woman, and therefore doesn’t really count. Either way, McKay vows to do better for the sequel, saying that taking the time to create better female characters will make the film “more powerful and special.” A good start on that would be to get The Lonely Island to team up with Tegan and Sara for a catchy PSA called “Nothing Is Awesome (About Sexism).” Or maybe he could talk to Lego about the way it still makes girl-specific sets, implying that all other Lego sets are just for boys, which is pretty weird.